You know what they say...a family who brushes together stays together! Or something like that... 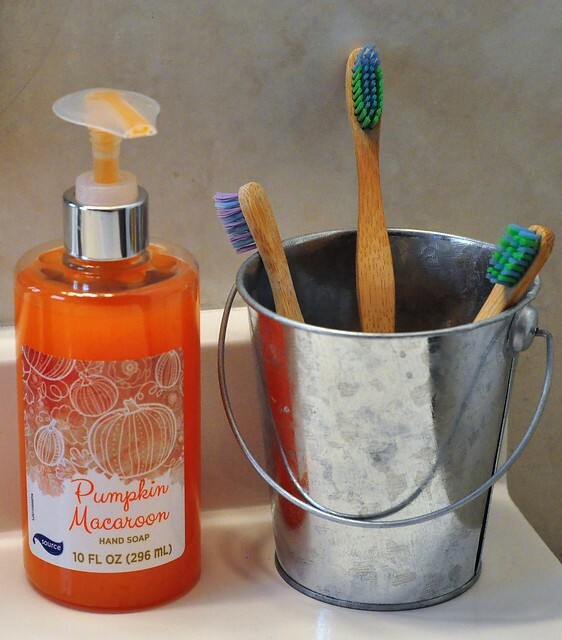 Either way, make it a point to brush together after every meal and before bed. If it's something that everybody has to do at the same time, young kids are more likely to willingly participate! 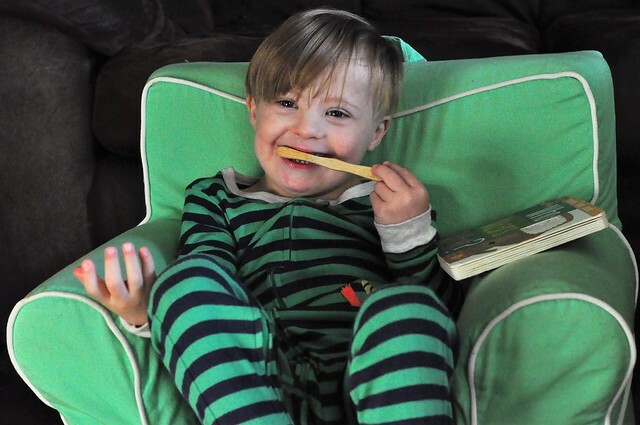 Change up your routine a bit, and hand over your toothbrush to your child! Give them the opportunity to brush your teeth for a few seconds, then switch. 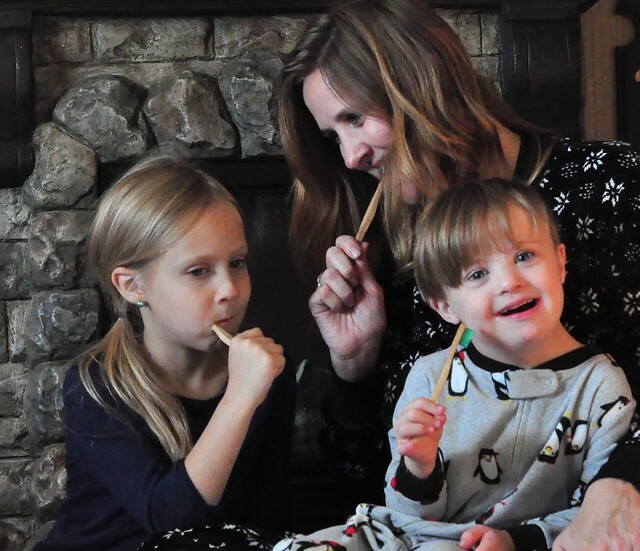 Many battles occur because the child just wants some control over the situation, so briefly putting your dental care routine in their hands - literally - can actually help! I don't know what it is about getting a new toothbrush or toothpaste, but kids get so excited about it! So every 3 months (or after they have been sick), take them to the store, and allow them to choose a new toothbrush on their own. The same goes for toothpaste and mouthwash flavors. Giving them the freedom to choose what they like can actually get them excited about taking care of their teeth! 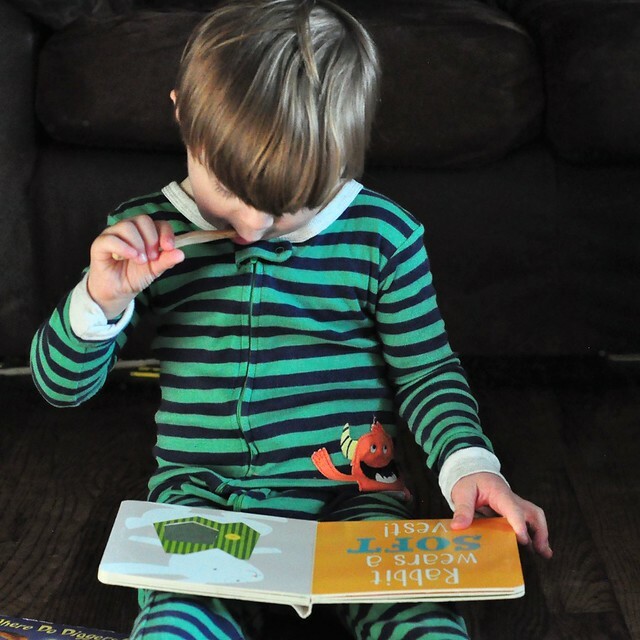 Kids love to feel in control of situations, including daily tasks. The best way to handle this is to offer them choices! Do they want to brush their teeth in the kitchen or in the bathroom? Do they want to sing a song or dance while they brush? Which toothpaste do they want to use? Do they want to floss on their own or would they like your help? They will be more likely to cooperate if they can make a few decisions on their own! 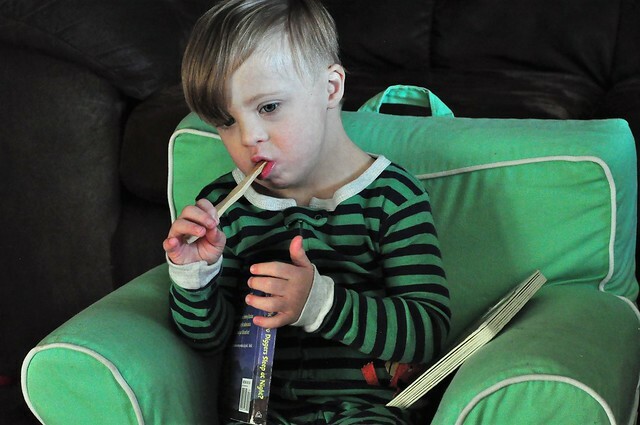 Using a visual timer helps in two ways: Kids can see that they are making progress while they brush and that an end is in sight, AND it teaches them to brush their teeth for the recommended amount of time! All four of my kids use a small hourglass timer. 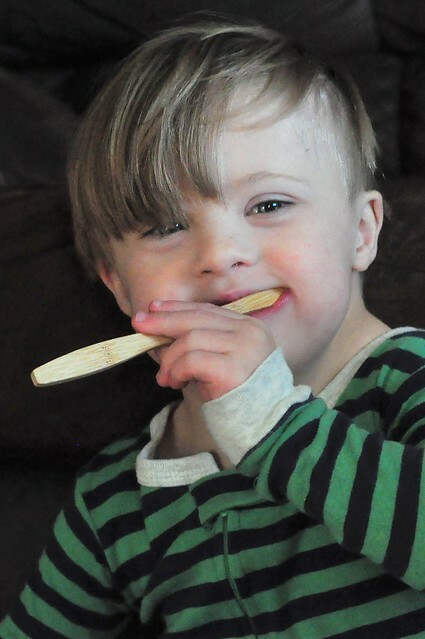 Brushing for 2 minutes can seem like forever to a young child, so seeing the time go by really helps! 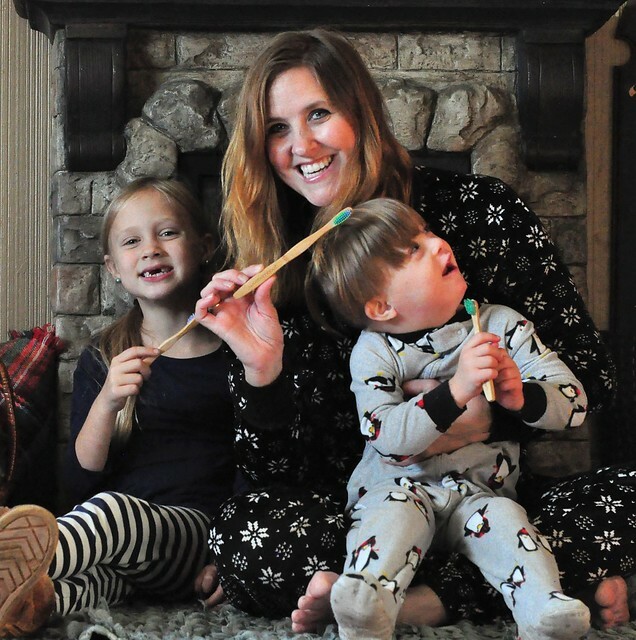 As a mom, I am FOREVER wiping spit off of our bathroom mirror, but it does serve a purpose! Kids love to look at themselves in the mirror, even while brushing their teeth. Bonus points for making the silliest faces possible while they brush! As I mentioned before, kids just want a little bit of control over some things in their life. Allowing them to brush for the first minute, then letting you finish the job can work wonders! They get to practice their tooth brushing technique and have control over the job, then you get to finish the job (and ensure that it's being done correctly). Everybody wins! Most kids love music! Listening to a song while they brush their teeth can make the tedious task a bit more tolerable! So put on their favorite song, or sing to them. Liam loves it when I make up my own version of popular songs, like Brush Brush Brush Your Teeth to the tune of Row Your Boat! Allowing them to look at a book or watch a short video on YouTube can make kids forget all about the task they must accomplish. Liam will actually brush for a longer amount of time when I hand him a book or let him watch a short video clip on the iPad! It really is true: Kids learn by watching you! 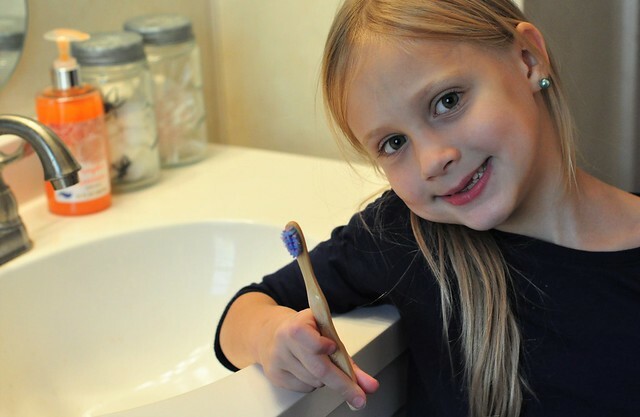 Show your kids that brushing your teeth is an important part of your daily routine. Having a happy, positive attitude about the task will brush off on them! Make sure you follow through with brushing your teeth after every meal and before bed, and they will follow your lead! But whatever you do, DON'T turn it into a battle, because it will backfire! 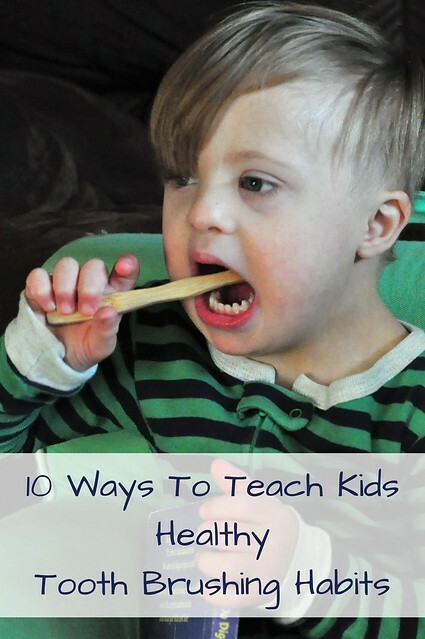 DON'T pin them down to brush their teeth. DON'T punish them or threaten to take away something they love. DON'T use the threat of the dentist yelling at them if they don't cooperate. DON'T ignore the situation in hopes that it will improve on its own. 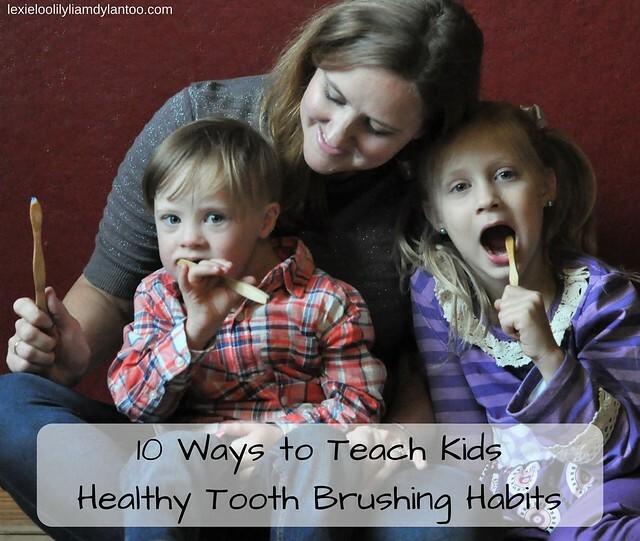 It's a parent's job to teach kids the healthy tooth brushing habits they will need to incorporate into their daily lives. And, well, parenting is never easy and every kid is different! The point is to make the entire experience a positive one! 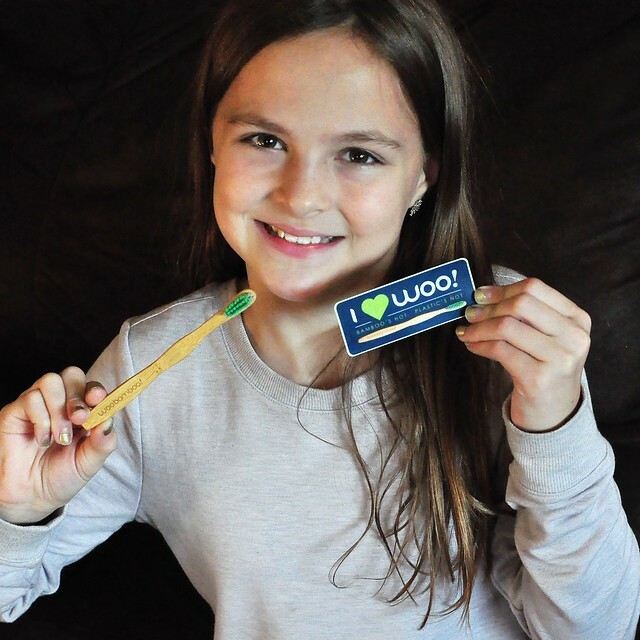 I was recently introduced to an oral care brand called WooBamboo! and I wanted to share this awesome company with all of you! I do worry about the safety of everyday products and the sustainability of our Earth, so I try to choose natural, eco-friendly products for my family as often as possible. Billions of plastic toothbrushes get thrown away each year, and end up in already overcrowded landfills. WooBamboo! toothbrushes are DIFFERENT. They are made from bamboo, which is biodegradable. 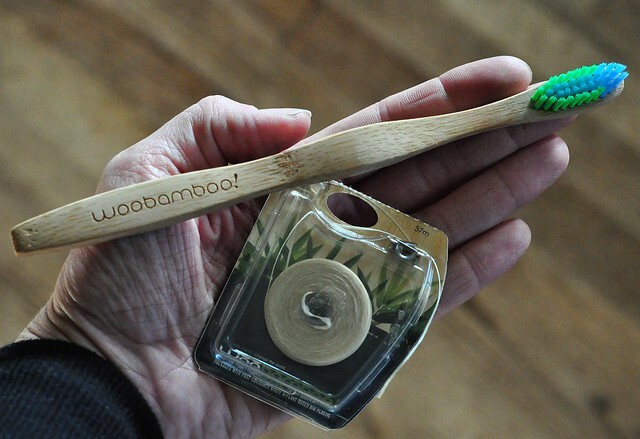 The bamboo is organically grown, so the toothbrushes are nontoxic and BPA-free. Even the toothbrush bristles and the bamboo floss are biodegradable, and the toothbrushes are naturally anti-microbial! An added bonus is that the products are packaged in recycled material. I thought the bamboo floss packaging was very clever! You just rip off the top of the package, thread the floss through the top, and it's ready to go. There aren't any plastic floss containers to worry about! WooBamboo! is a smart choice for my family of six! 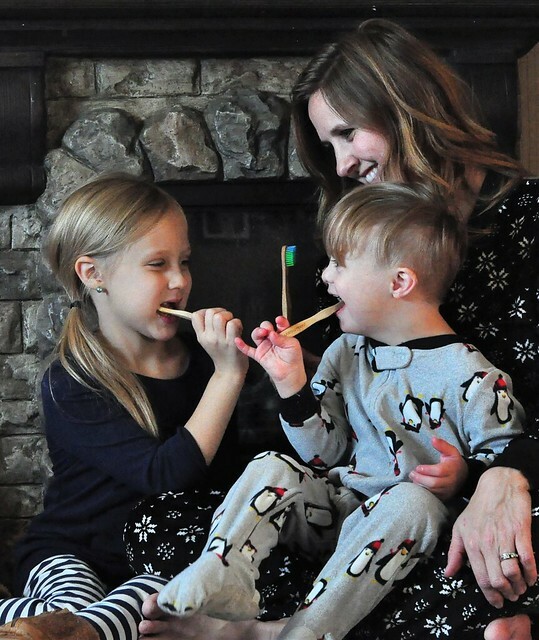 Check out their full line of products, which includes bamboo toothbrushes for the entire family, bamboo dental floss, and toothbrushes for pets. Coming soon are toothpastes and mouth rinses! WooBamboo! products can be purchased online, and also found at many popular retailers including Target, CVS and Amazon. The products are available in over 8,000 stores worldwide! 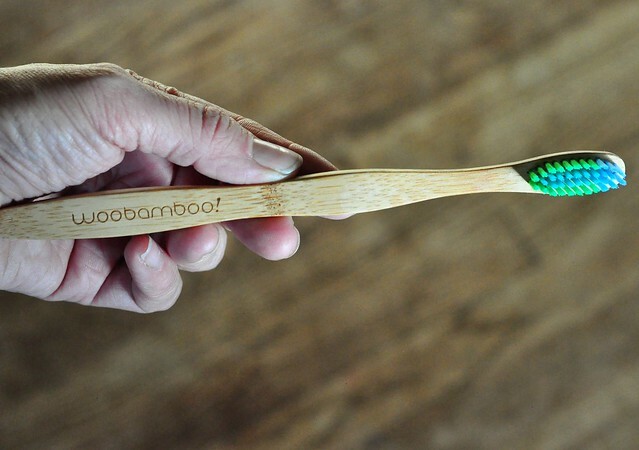 Do you want to try these awesome bamboo toothbrushes? Purchase HERE and use the code LEXIELOO20 to save 20% at checkout! OR enter my Instagram giveaway to win a WooBamboo! prize pack for your family! 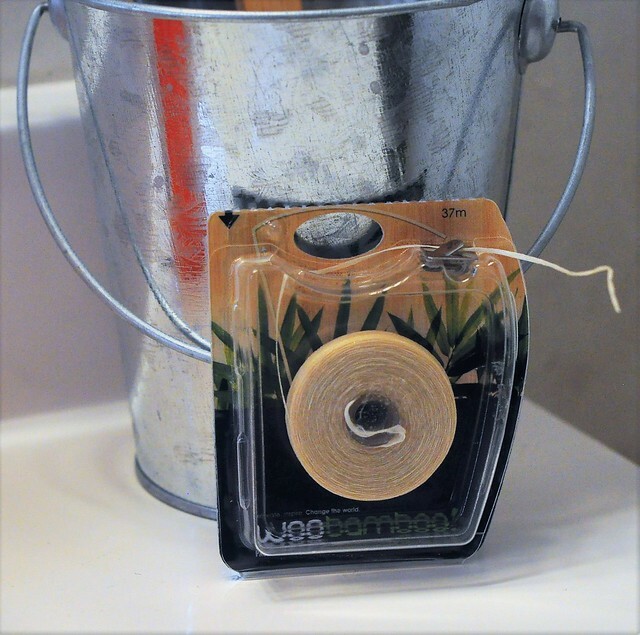 Have you tried WooBamboo! products yet? 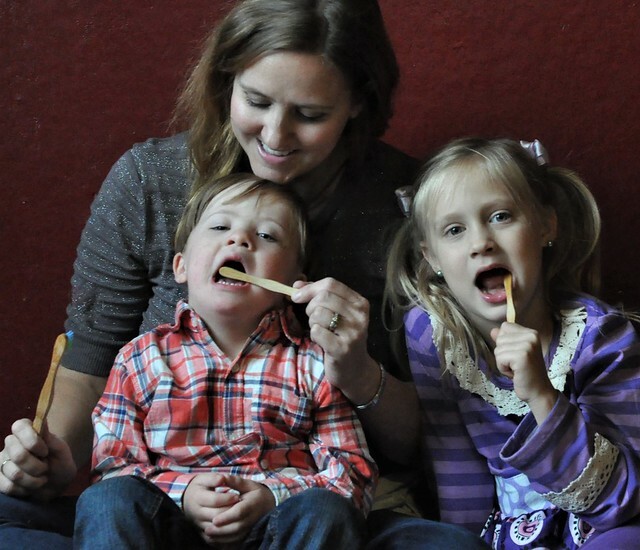 Did you struggle with getting your child to willingly brush their teeth? If so, what are YOUR favorite tips to make the process go smoothly? 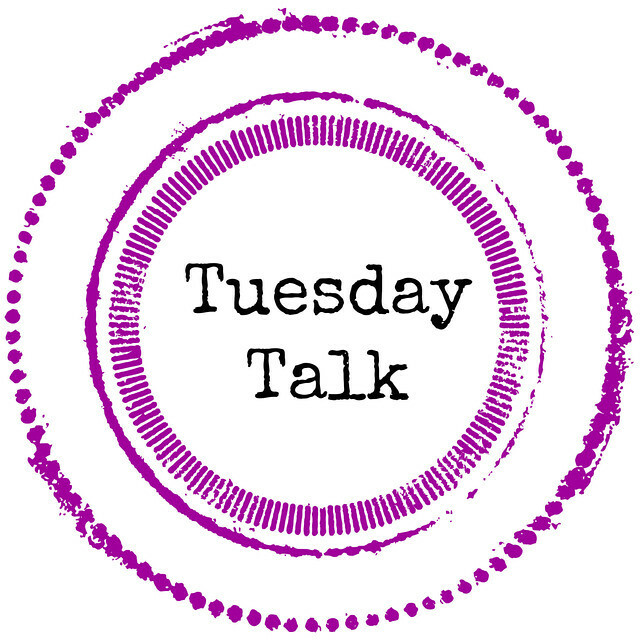 It's time for Tuesday Talk! 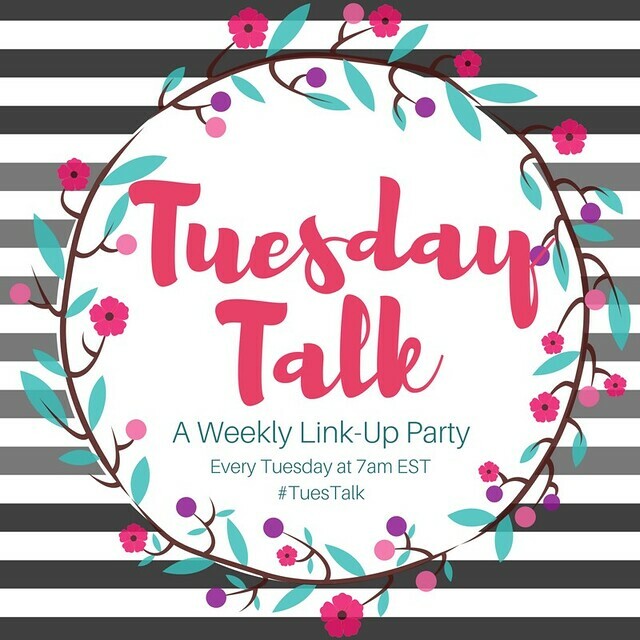 Grab the button, link back to your hosts and add your blog post link on the widget below! Always good to minimize your global footprint, even with dental floss! This is so helpful! I'm tired of sitting on the edge of the bathtub with a large three-year-old in my arms flailing! Thank you!! I have a bamboo toothbrush which feels nice in my hand. I bet the kids love that! Cute photos too! This is a great idea. We are getting into the brushing a lot more now and the girls don't fight it as much. Now we neeed to get better with flossing.